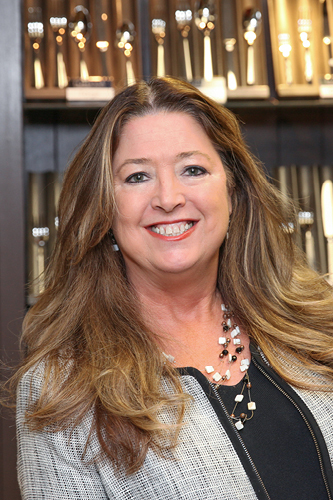 Peggy Musgrave has been an executive team member in the tableware industry since 1976 having held a variety of positions in a broad range of functions including finance, logistics, marketing, IT, and administration. Her experience gives her unique insight into organizational structure, function, and the dynamics of a business environment. In 2004 Peggy joined Integrus Holdings, Inc. (then, Fortessa, Inc.). She provided support for the Company’s growth and evolution, taking an active role in supporting the development of the Company’s entire executive program. She has participated in all aspects of the Company’s growth as it expanded from 35 to over 200 employees and associates worldwide. As the right hand person of the top executive leadership, Peggy has been at the front lines of this corporate growth. In 2014 Peggy undertook the responsibility to manage Integrus’ Community Affairs function. In this capacity Peggy has the responsibility to help develop, oversee, and implement the Company’s leadership and engagement programs in the communities in which it is active. As part of this role Peggy serves on a variety of Boards and advisory groups, including the Loudoun County Chamber of Commerce and the Children’s Science Center advisory board. Peggy and her husband Jim have resided in Loudoun County for over 20 years and are very active in the community.